Forging new grounds by launching their product line in South Africa, Earth Rated® is a Canadian company based out of Montréal, Québec, creating high-quality, affordable products for the environmentally-conscious dog owner. 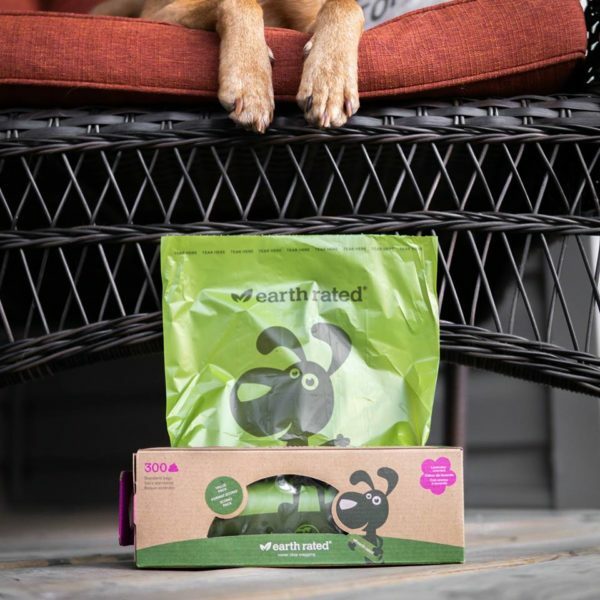 Earth Rated® offers a wide variety of poop bags for a simple and hassle-free experience, including a certified compostable option made from vegetable starches. Formats range from dispenser refill rolls for on-the-go, extra-wide bags with easy-tie handles and bulk rolls for backyard pickups and are available in lavender and unscented. Their iconic leash dispenser is the ultimate dog-walking accessory and has a unique adjustable strap, which can attach to any size leash. In addition to poop bags, their product line also includes a bio-enzymatic stain and odour remover that works on a variety of surfaces and is guaranteed to eliminate even the most stubborn stains. They also offer a durable and lightweight outdoor scooper that is great for backyard clean-ups. “Fostering a sense of community amongst fellow animal lovers is the driving force behind Earth Rated®, and we are thrilled to include South Africa in our mission to keep the world wagging,” said Tara Garland, Marketing Director. Founded in 2009, a group of friends responded to a need for a poop bag that was both affordable and eco-friendly. Earth Rated® creates products that encourage responsible pet ownership by helping keep parks and neighborhoods clean. As a team of pet owners, Earth Rated® is proud to support rescues and shelters and build lasting relationships with their dog-loving community of loyal customers.